Traveling by bus is one of the most efficient and economical ways to see Mexico. Many operators of Mexico buses (especially the luxury buses) now have information about timetables and prices on the Web – in some cases you can even reserve your seats online (although many companies require a Mexican credit card to purchase tickets online). As a general rule, we recommend booking at the bus station in Mexico. There are ticket desks from several different bus companies at major bus stations and you can book in advance or on the day, pay by credit card, and choose a seat. Booking a few hours before travel often works, but if you are in town already then we suggest booking a day or two before you want to travel. Note that Christmas, New Year and Easter are especially busy and advance reservations are recommended. Different World does not handle bookings for bus travel but we hope that this information page will be helpful for travel planning. Please follow the links to the websites for further information (we are not able to provide additional information by phone or email). We’ve proved links to the major operators below, and we’ll be updating this list with new sites as they appear – so bookmark this page for future reference. Acapulco, Mexico City, Guadalajara, Monterrey, Puerto Vallarta, Manzanillo, Mazatlan, Morelia, Queretaro, Puebla, Cuernavaca, Los Mochis, Aguascalientes, Cd. Juarez, Chihuahua, Ixtapa, Nuevo Laredo, among many others. Busolinea.com is the easiest way to buy your bus tickets while travelling in Mexico. They have partnered with the best bus lines in the country; such as Futura, Chihuahuenses, Elite, Pacifico, etc, offering first-class bus service to thousands of routes. Find the best prices and book your bus tickets on web or download their mobile apps. Your best option for flexible and affordable bus travel all throughout Mexico, Guatemala, Costa Rica and South America. Designed for backpackers and independent travelers. Offering tailor-made bus passes with daily departures, which include great activities such as visiting ancient ruins, swimming in secluded waterfalls, cruising through an impressive canyon, staying with a local Maya family and much more. Great alternative to public transportation. 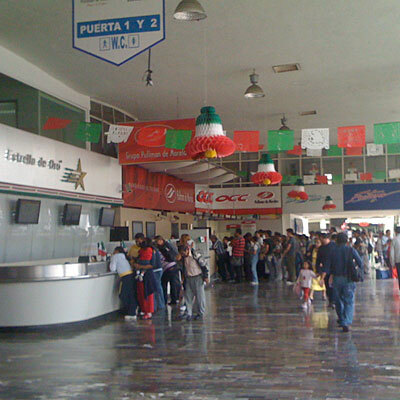 Mexico City Airport, Mexico City (Norte), Aguascalientes, Celaya, Colima, Guanajuato, Guadalajara, Irapuato, Leon, Morelia, Puerto Vallarta, Queretaro, San Luis Potosi, San Miguel de Allende. Spanish and English site with timetables, prices and distances available. Mexico City (Norte), Mexico City (Observatorio), Aguascalientes, Celaya, Colima, Guanajuato, Guadalajara, Irapuato, Leon, Manzanillo, Morelia, Puerto Vallarta, Queretaro, San Luis Potosi, San Miguel de Allende, Uruapan, Zamora. One of the best luxury services with only 24 seats per bus. Timetables, prices and journey times available in English and Spanish. Lists all services including the luxury ADO GL and ADO Platino services. This site shows services from UNO, ADO, Cristobal Colon and others. Various destinations in central, Western and Northern Mexico. Includes services by ETN, Primera Plus, Omnibus de Mexico and others. Payment can be made by PayPal, or by credit card using PayPal. 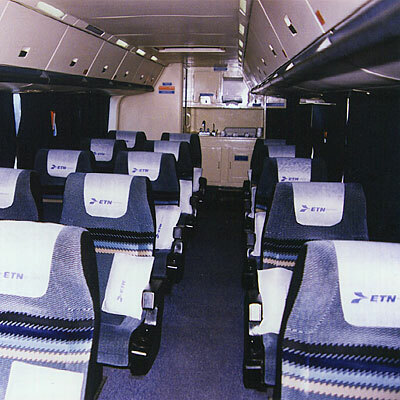 Includes luxury “Diamante” services between Mexico City and Acapulco. Excellent, fast website with online reservations and ticket purchase. Schedules and online reservations, Spanish only. Includes services from Transportes del Norte, Omnibus de Mexico, Primera Plus, Groupo Senda. Schedules and prices available in Spanish. Timetables, prices and journey times available in Spanish and now in English. 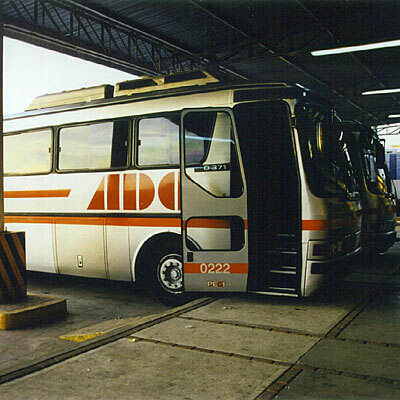 Includes many brands such as Pacifico, Futura, Oriente, Autobuses Americanos, Transportes Chihuahuenses and more. Schedules and online reservations, Spanish only. Schedules and functions to purchase tickets online, Spanish only.